Fatma Alpay, the wife of veteran Turkish columnist Şahin Alpay, died of cerebral hemorrhage on Saturday morning, the Turkish media reported. She will reportedly be laid to rest in Ayvalık district on Tuesday. On May 17, the İstanbul 13th High Criminal Court decided for Alpay’s house arrest, judicial probation and an international travel ban. 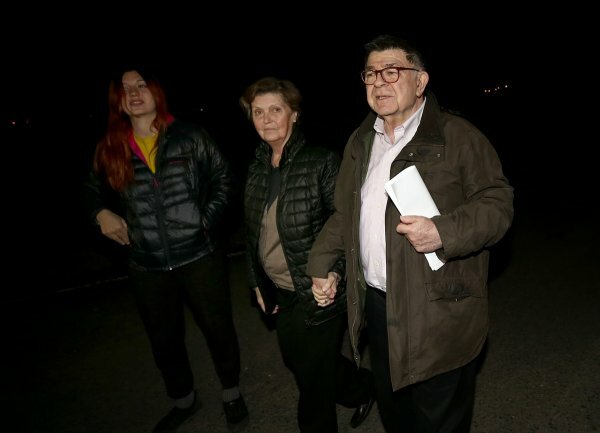 The decision came upon an application by Alpay’s lawyers after an İstanbul high criminal court had refused to release him despite an earlier Constitutional Court ruling on Jan. 11, 2018 that his right to freedom and security as well as to freedom of expression and freedom of the press had been violated. He was eventually sentenced to 8 years and 9 months in prison On July 06, 2018. Turkey is the biggest jailer of journalists in the world. The most recent figures documented by the Stockholm Center for Freedom (SCF) show that 248 journalists and media workers were in jail as of March 9, 2018, most in pretrial detention. Of those in prison 193 were under arrest pending trial while only 55 journalists have been convicted and are serving their time. Detention warrants are outstanding for 139 journalists who are living in exile or remain at large in Turkey.